I’ve discovered that a bestselling book is basically a key that unlocks invisible doors. It created so many opportunities, which I didn’t fully expect. Aspart of my series on the “5 Things You Need To Know To Write A Bestselling Book” I had the pleasure of interviewing Tony Whatley. 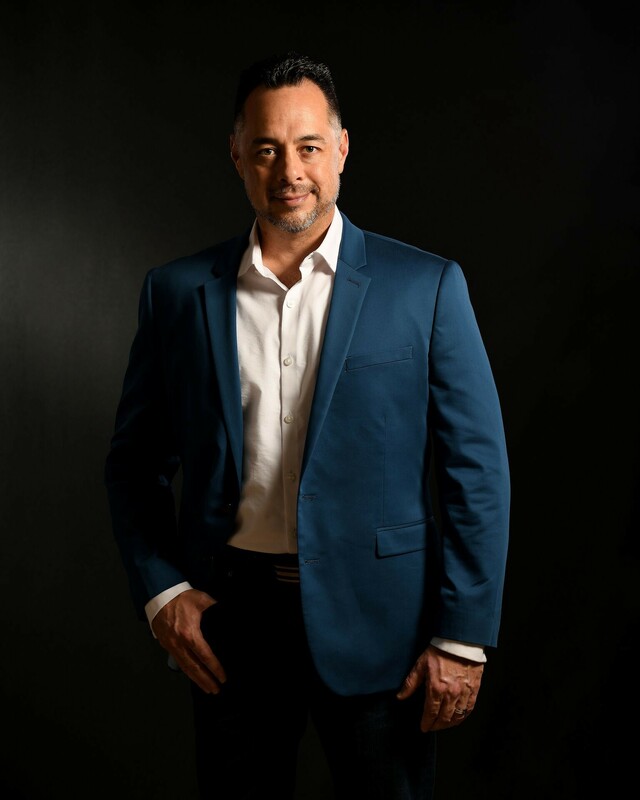 Tony Whatley is a business mentor, bestselling author, podcast host, and entrepreneur. He has led a dual career for the last 20 years, in two distinct industries: Oil & Gas, and Automotive Performance. This was accomplished by starting businesses during his spare time. Tony is best known as Co-Founder of LS1Tech.com, a massive online automotive community which grew into the largest of its kind. This website sees over 100,000 visitors per day, and has 300,000 registered members. This company was later sold for multiple 7-figures. This was just his side-business. Tony’s latest venture is 365 Driven. This consultancy helps small business owners become more process-driven, marketing focused, and profitable. 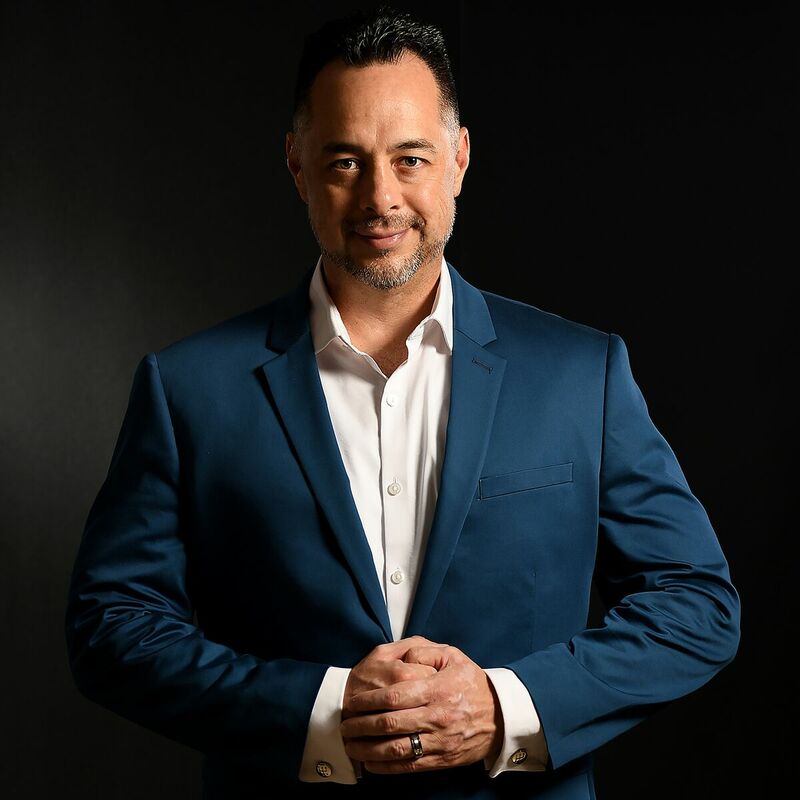 Under this brand, Tony wrote his first book “Sidehustle Millionaire”, which released in May 2018 and achieved #1 on Amazon within the Business Marketing category. 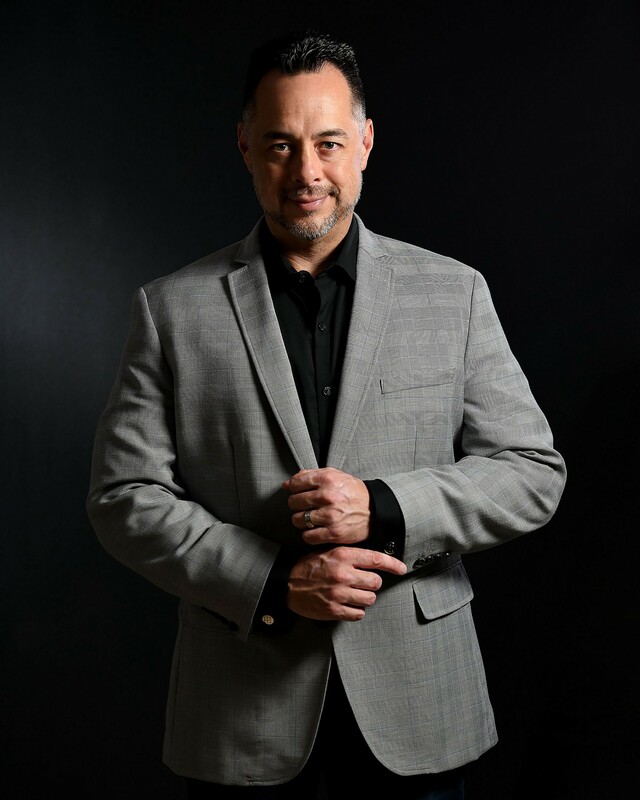 The book has since sold thousands of copies, and launched his speaking and podcast career. I’ve always loved reading books, and admired those who had earned the title of “Author.” While I’ve been published in numerous magazines, those typically earned the titles of “Contributing Editor” and “Writer.” I knew I’d eventually write a book, but I wanted it to be something that could help thousands, and potentially millions of readers. 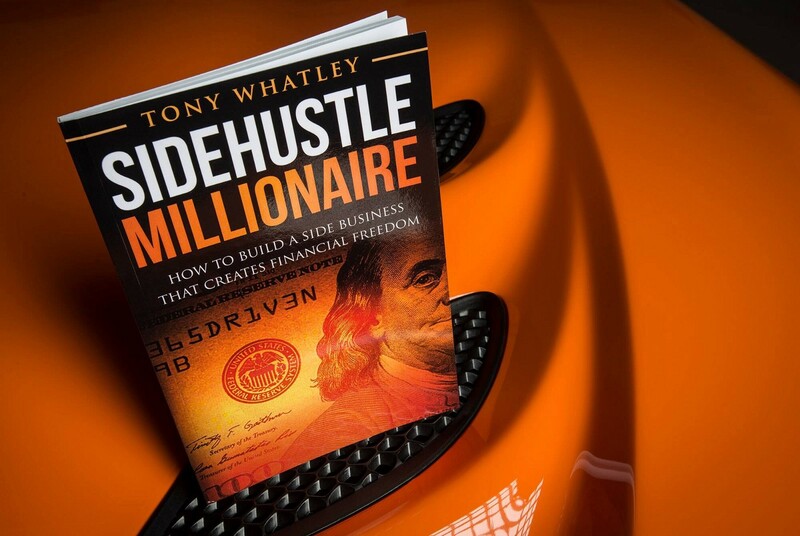 My book, Sidehustle Millionaire,has been an idea inside my head since selling my company in 2007. But, I kept making excuses and putting it off. People kept coming to me for the advice, and I helped numerous people start companies since then. In 2018, I decided to finally write the book that people wanted. What was (so far) the most exhilarating or fulfilling experience you’ve had as an author? I’ve discovered that a bestselling book is basically a key that unlocks invisible doors. It created so many opportunities, which I didn’t fully expect. Prior to having a successful book, it was difficult to gain interest or attention from influencers on social media, podcasting, and radio. Prior to the book launch, I worked very hard to try and get some air time on various shows, but to no avail. I was basically ignored or politely declined. Then the book came out, did extremely well, and now I’m constantly being asked to be a guest on shows or speak at events. It literally flipped the table on things. What was the craziest, weirdest, wildest experience you’ve had as a bestselling author? I take a hardcover copy of my book all over the world, and snap photos of it in front of beautiful locations and landmarks. I do this for nice promo photos that I can share on my social pages. I was at a busy convention with hundreds of thousands of attendees, and I was holding my book up to snap a photo of it against a background. Someone walked by and said “That is a great book!” and they didn’t know I had written it. At the same convention, a few people I did not know, recognized me from the photo on the back cover, and thanked me for the book. It was pretty cool to experience meeting readers out in the wild. What is the greatest part about being a successful, bestselling author? What is the worst (if anything) part? The best part is meeting the people who you have positively impacted, by the messages within your book. I love to meet my readers. If I could have just positively impacted one person with my book, it was worth writing. To have helped thousands, is another level completely. I can’t think of any negatives, unless you are a very private person. You’ll get random emails and messages every day on your social media. But, I enjoy that interaction. Marketing, marketing, marketing. I began marketing my book before I even typed the first word. It was a six month process from start to launch week. I asked my social media followers what they would like to learn from me. Then when I decided on the book, I asked them which questions I could answer for them in my book. I knew I’d have a great book, if I could just answer all of their main questions. This is doing market research to validate the idea, prior to writing the book. I consistently engaged with my social media audience, to keep them updated with the progress of the book. I shared updates when I completed a new chapter, and an excerpt. I asked for people’s opinions on things, so that they would have buy-in on the project. I showed them all the cover designs, and asked for opinions on them. During my launch week, I had built up an email list of over 200 readers, and grew a facebook group around the book that had about 600 members at the time. I did live videos three times per day, during that launch week. I shared the excitement of seeing the book climb the rankings on Amazon. It sold over 800 copies in the first two days, to achieve #1 in the Business Marketing category. The book went on to sell over 1,000 copies in the first week, and a few thousand since then. Which writer or leader has had the biggest impact on you as a writer? I’m a highly active reader, typically finishing a book per week. Two names that stand out for me, in terms of writing style, are Malcolm Gladwell, and Timothy Ferriss. I really enjoy their books. I like how they take complicated subjects, and communicate them down into simple principles and mindset shifts. I tend to do the same things. I believe that is why my book became so popular. It isn’t filled with fluff, or overreaching vocabulary. I kept it simple, so that the message is clear. Several of my Amazon reviews mention this aspect of the book. Good for beginners, and experienced business owners. That is a great compliment. About six months before I started writing the book, I started mapping out the marketing strategy to achieve bestseller. I observed several examples of what others had achieved, to do so. I reverse-engineered that process, those strategies. There is very little luck involved, once you understand the process and the steps. But, part of that process was about me, not the book. At that time, my major challenge was that I was not the right person to deliver my message. I knew I had to become a better public speaker, in order to effectively market the book, speak at events, and be interviewed about it. I was terrible at public speaking. I had to invest in myself to become the right person to carry the message. I joined Toastmasters and learned public speaking skills. This later led to paid speaking engagements, radio interviews, and my own podcast show. Now I absolutely love performing on stage, or on a microphone. I became the right person to carry my message! What challenge or failure did you learn the most from in your writing career? What lesson(s) did you learn? The main challenge for most writers is simply making time to complete the writing of the manuscript. We make an endless amount of excuses about why we can’t finish our book. I conquered that by using my social media followers as accountability partners. I made bold statements about completion dates for chapters, and the book. When I put my goals out into the world, it helps me keep those promises. I also learned to block out time on my daily calendar, specifically for writing time. If you can carve out an hour per day, soon enough you’ll have your book written. You must guard that time, just like it is your priority. Having a calendar makes it easier to say NO to distractions. I just use my simple Gmail calendar, it works great. What are the 5 things a writer needs to know if he/she wants to become a bestselling author? 1. Avoid writing the book solely for yourself. It must serve the readers. It must solve a problem for them. Too many new authors want to talk about themselves, almost like an autobiography. They fail to think about the perspective of the reader. Share your stories, but also include a lesson with each of those stories. Inspire, educate, or entertain the readers. This book isn’t about you, it is about them. Write the book they want. 2. Spend a couple months learning marketing principles, and human behaviors around marketing. Read books and listen to podcasts on the subject. Do not be afraid to utilize social media to build your audience. Practice those marketing and influence skills as you go. This is the most important part to achieve bestseller status. You will need between 650–800 people to buy your book in the first week. You have months to build that audience, if you take the action to do so. You could write the very best book in the world, but if nobody knew about it… it wouldn’t matter. 3. Invest in yourself. Become the person that can effectively market and promote your book. Nobody else is going to care about it as much as you do. Nobody else is going to market your book, unless you want to spend a small fortune and hire a publicist. People support people that they like and trust. Provide people with a lot of value, and they will return the favor when you finally ask. Also, every dollar and every minute you invest in yourself, you get to keep forever. You learn skills that you will always have. Find that discomfort, and crush it! 4. Cover design matters. Books DO get judged by their covers. Hire a professional to do the cover artwork. This can be done relatively inexpensive now, on sites like 99Designs and Fiverr. Your amateur looking cover will not stand out against some professionally designed covers. If you are going to dedicate months of writing something, spend some money to put it into a wrapper that you’ll be proud of. 5. Be your authentic self, as a writer. Do not dilute your true message. Do not try to please everyone, as that is impossible. Speak your honest truths. Be vulnerable. You do not want a plain vanilla book. The world is full of plain, average, and boring. The readers do not want more average books. Understand that your authentic self may annoy some people, and that it is okay. The book isn’t for those people. It is for the specific audience that you want. Your tribe. Speak directly to those people, and they will adore you. If you try to please everyone, you will please no one. What are you most excited to work on next? I will be starting my second book this year. It will be based on a daily series that I have been writing on Instagram, in short form. The book will be 365 Hard Truths. I share my thoughts and lessons on business, success, relationships, and mindset. I’ve basically been typing one page at a time, for almost a year now. I’m writing the book hidden in plain sight. See Instagram.com/365driven if you are curious. I launched the entrepreneur group, 365 Driven, in December of 2017. It has grown to over 2,600 members as of January 2019. I am building an entrepreneur community like no other. There will be collaborative businesses, entrepreneurship education, useful tools and systems, and live speaking events. I enjoy building large interactive communities, and know this will impact millions of people, in time. I certainly dream big! Anything else you’d like to add? We would love to hear whatever you feel inspired to include. Thank you so much for these great insights!